Michael Strmiska, associate professor in Global Studies, teaches courses in World History and Asian History. Born in 1960, he grew up in Norwalk, Connecticut, and attended college in western Massachusetts at Hampshire College. After working in the mental health field in the Boston area in the 1980s, he undertook studies in Comparative Religion and History, with an MA degree in South Asian Studies/Religions of India from the University of Wisconsin-Madison, and a PhD in Religious Studies/Myth Studies from Boston University. Professor Strmiska's dissertation was a comparative study of ancient Indian and Scandinavian afterlife beliefs and religious practices. In the 1990s, Professor Strmiska taught as an adjunct professor at Hampshire College, Boston University and Northeastern University. In 1996, he received a U.S. government-funded Fulbright Student Fellowship to study Old Norse literature and mythology at the University of Iceland in Reykjavik. In 1999, he was hired to teach Religious Studies and European History at Miyazaki International College in Miyazaki, Japan, where he remained from 1999-2004, gaining a deep appreciation of Japanese history and culture. For the 2004-05 school year, Professor Strmiska was awarded a second Fulbright Fellowship, this time to teach History and Humanities at Siauliai University in Lithuania. 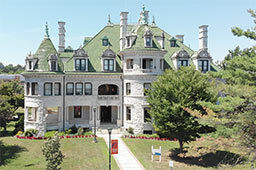 Returning to the USA in summer of 2005, Professor Strmiska taught World History at Central Connecticut State University and Cape Cod Community College. Researches carried out in Iceland and Lithuania were key components of Professor Strmiska's 2005 book, Modern Paganism in World Cultures: Comparative Perspectives. Professor Strmiska has presented academic papers at conferences in the United States, Canada, Britain, Belgium, Lithuania, Czech Republic, and Greece, and published scholarly articles in such journals as Nova Religio: The Journal of Alternative and Emergent Religions, The Journal of Religious History, and The Pomegranate: The International Journal of Pagan Studies. Professor Strmiska also serves on the editorial board of The Pomegranate. During the 2007-08 school year, Professor Strmiska was selected by the Massachusetts Council on International Education as their Lecturer on International Education. for a presentation comparing the use of testing in Japanese education with the increasing emphasis on testing in American education. Since joining the Department of Global Studies at SUNY-Orange in August of 2008, Professor Strmiska has taught the courses World History To 1500, World History Since 1500, Modern China and Japan and Modern India and Southeast Asia, and Honors Seminar: Debating the Vikings. He also created the new course History of Russia and Eastern Europe which has been offered at the college since 2012, and in May of 2015, he led a college trip to the Eastern European, Baltic countries of Lithuania and Latvia. In spring of 2017, Dr. Strmiska debuted a new Honors seminar, Modern Paganism and New Religious Movements. He has also worked to develop two other new SUNY-Orange courses, Ancient Asia and Sociology of Religion, which are tentatively planned for introduction in the fall of 2018. Dr. Strmiska remains active in research in the areas of New Religious Movements and Modern Paganism. In recent years, He has presented research papers at Religious Studies conferences in Riga, Latvia; Vilnius, Lithuania; and Krakow, Poland. He helped organized a conference at Vytautas Magnus University in Kaunas, Lithuania, about "Religious Heritage Tourism" in October, 2015, and was one of the conference Keynote Speakers. Professor Strmiska also organized a conference on "Paganism and Politics" at Masaryk University in Brno, Czech Republic in June of 2016, and was again one of the keynote speakers. He has also presented papers at the annual conference of the American Academy of Religion in 2010 in Atlanta in 2010 and at the 2014 and 2016 annual meetings of the Mid-Atlantic American Popular Culture Association. Recent publications for Dr. Strmiska include "Eastern Religions in Eastern Europe: Three Cases from Lithuania, " Journal of Baltic Studies 44, 1 (2013), 49-82 and Paganism-Inspired Folk Music, Folk Music-Inspired Paganism, and New Cultural Fusions in Lithuania and Latvia. In Carole M. Cusack and Alex Norman (eds) Brill Handbook of New Religions and Cultural Productions, 349-398. E.J. Brill, 2012. Dr. Strmiska is also at work on a book entitled Unchristian Eastern Europe: Pagans, Jews, Gypsies and Muslims, which will provide a historical overview of these different minority groups in Eastern Europe with discussion of their current status in modern-day Eastern Europe. Professor Strmiska has also taught courses on Neo-Paganism, New Religious Movements, and European Myth and Religion at Hampshire College in Amherst, Massachusetts and Masaryk University in Brno, Czech Republic, where he was the recipient of a Czech Ministry of Education grant as a foreign lecturer in the Department for the Study of Religions in fall of 2015. He also visited Ukraine, Turkey, Hungary, Finland, Sweden, Poland and Croatia during his time teaching in Brno. He has applied for a third Fulbright grant which, if successful, will put him in Riga, Latvia to teach at the University of Latvia in spring of 2018. In the spring of 2017, Professor Strmiska was awarded the SUNY-Orange President's Award for Excellence in Scholarship and Creative Activities for his research, writing and international scholarly activity, including academic conferences he helped to organize in Kaunas, Lithuania in 2013, at Vytautas Magnus University, and Brno, Czech Republic in 2016, at Masaryk University, where he had been a visiting lecturer in Religious Studies in the fall of 2015. He was nominated by the college for the same award at the all-state SUNY level, and received the SUNY Chancellor's Award, also for Excellence in Scholarship and Creative Activities, in May of 2017.